The young hero’s outfit is not illustrative of Old Testament dress, but certainly from a later period. The practice of depicting Biblical and historical protagonists in luxurious contemporary garments had a long tradition, which Cagnacci would have admired in the paintings of his Renaissance and seventeenth-century predecessors. These include Paolo Veronese, whose work he studied with great attention, and Caravaggio, whose followers he encountered in Rome. The clothing that David wears, however, is not typical seventeenth-century fashion, but perhaps theatrical costume—Cagnacci is also known to have maintained close links to the theatrical milieu of his day. Adam Williams Fine Art, Ltd. (London), sold to the J. Paul Getty Museum, 2008. Benati, Daniele. "Guido Cagnacci: Il corpo e l'anima." In Guido Cagnacci: Protagonista del seicento tra Caravaggio e Reni, exh. cat. Daniele Benati and Antonio Paolucci, eds. (Milan: Silvana, 2008), pp. 46-47, fig. 24. Muti, Laura, and Daniele de Sarno Prignano. Guido Cagnacci: Hypóstasis (Faenza: Edit Faenza, 2009), pp. 213, 373-75, no. 48, pl. XIII. Hilaire, Michel, and Axel Hémery, eds. Corps et ombres: Caravage et le caravagisme européen, exh. cat. (Montpellier: Musée Fabre; Toulouse: Musée des Augustins, with 5 Continents, 2012), pp. 280-81, no. 69, ill., entry by Michel Hilaire. Hilaire, Michel. "La tentation caravagesque." In Corps et ombres: Caravage et le caravagisme européen, exh. cat. Michel Hilaire and Axel Hémery, eds. (Montpellier: Musée Fabre; Toulose: Musée des Augustins, with 5 Continents, 2012), pp. 270-71. 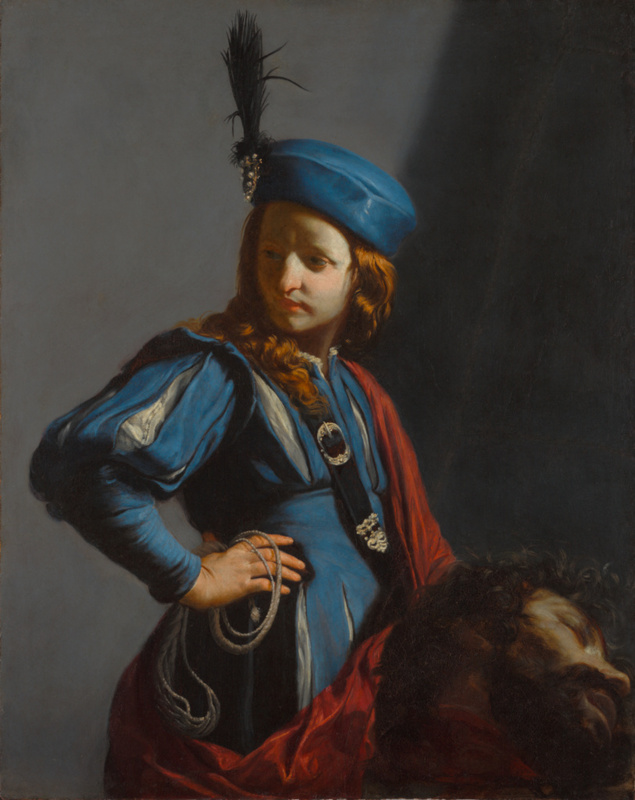 Salomon, Xavier F. The Art of Guido Cagnacci (New York: Frick Collection, with Scala, 2016), pp. 74-78, fig. 39.